The Nnuman community is a new forum supporting the development of the next generation of nuclear technology. The community has developed from the industry-led technical advisory board for Nnuman (New Nuclear Manufacturing), a £8 million, five-year EPSRC-funded programme which ended in 2017. 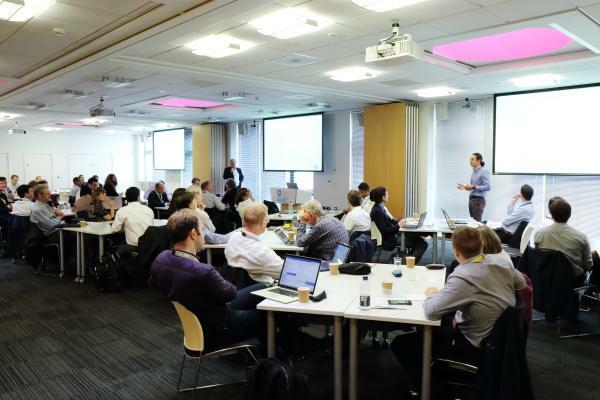 The programme was led by The University of Manchester Dalton Nuclear Institute with support from the Nuclear AMRC and National Nuclear Laboratory. Nnuman addressed new R&D capabilities to support the future needs of the UK and global nuclear industry, in areas including joining, advanced machining, near-net shape manufacture, and product performance. With funding from the High Value Manufacturing Catapult, the Nnuman community is now extending this remit to cover the complete nuclear landscape. It aims to identify and develop technologies and research programmes which can support the manufacture of light-water SMRs, Generation IV fission reactors, fusion reactors, and advanced decommissioning and storage techniques. The community promotes networking for nuclear manufacturing research, development and deployment, and provides new opportunities for collaboration, cross-disciplinary working, project proposal development and information exchange. It meets twice a year, and is chaired by Professor Steve Jones, Nuclear AMRC chief technology officer. The second meeting in October 2018 featured presentations and discussions on topics including materials for advanced reactors, condition monitoring, powder metallurgy for additive manufacturing, and advanced joining and machining technologies. It was attended by around 50 technical experts from the nuclear industry, academia and the High Value Manufacturing Catapult. The meetings are open to relevant interested members of academic, engineering and manufacturing organisations who wish to develop relevant funding streams, extend their knowledge and operating capabilities, and expand their network of solution providers. For more information, contact Professor Steve Jones.